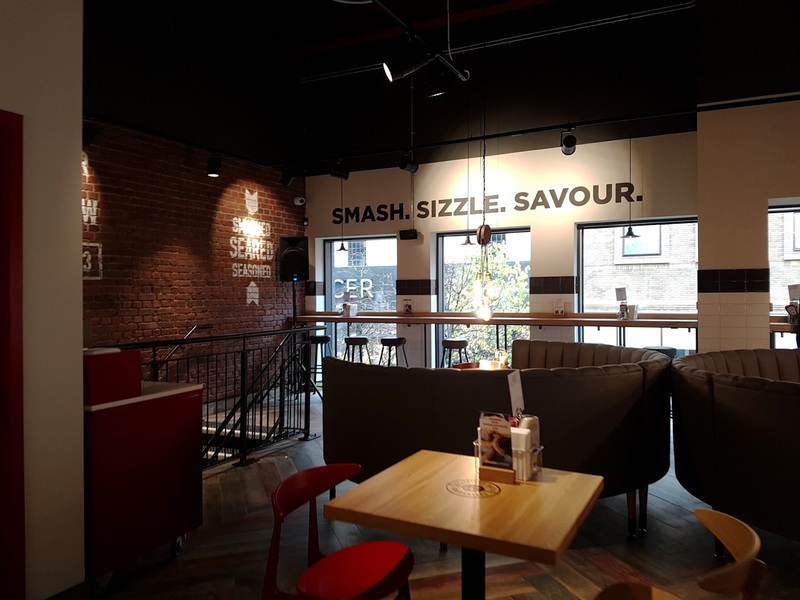 On Wednesday 18th October Katie and I attended the preview opening of Smashburger in Glasgow, I was really egar to see what the food would be like, prices and the whole aesthetic of the place. Upon arrival the whole place was booming with people, The atmosphere was great and I really loved the layout. We were greeted with a smiling face and shown to our seats where the menu and process was explained to us. The ordering set up is very easy, you choose what kind of burger you want wither that's one of their pre made menu burgers or a build your own (That's what I done) there's something for everyone as they have veggie burgers as well! The whole menu was perfect, there were so many options to choose from which made it very hard to choose what we wanted but for me creating my own meant that I was able to get all the things I wanted, fuss free. 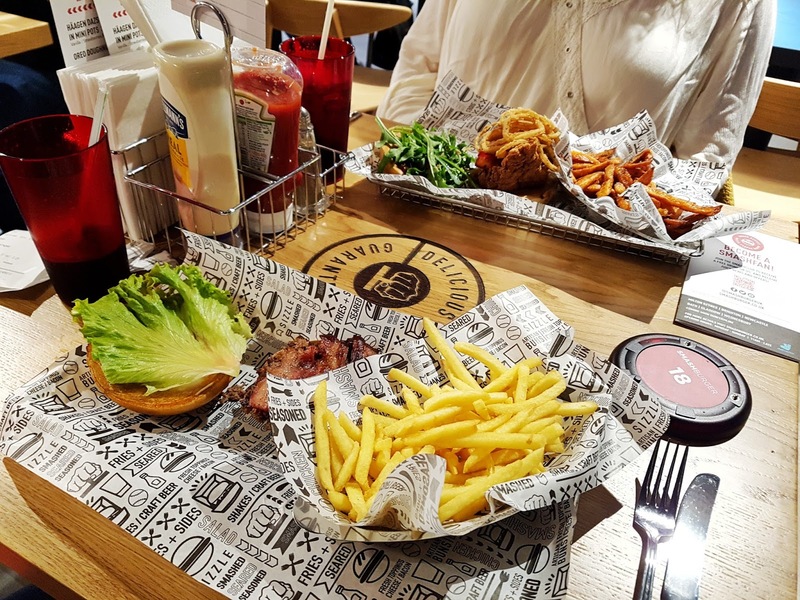 Their side are also fantastic, classic fries, sweet potato fries and more. 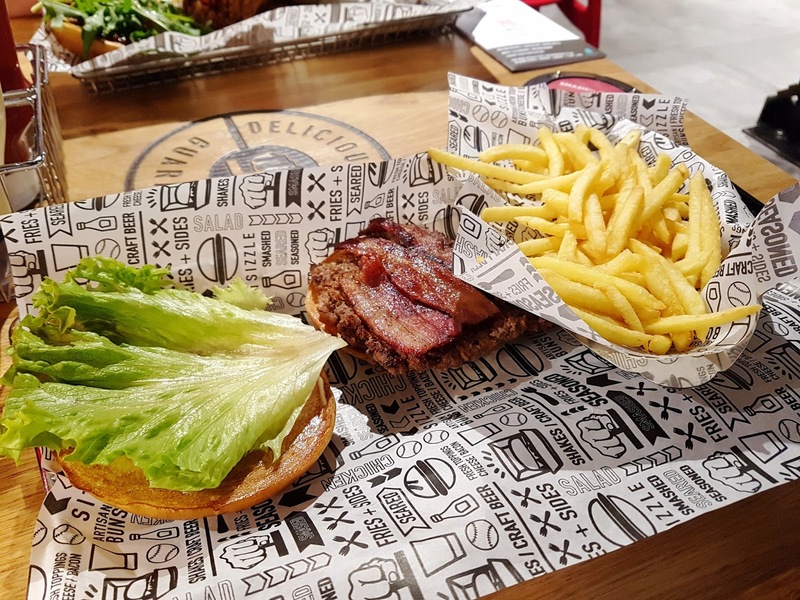 For my order I had the build your own and I chose a regular beef burger on a smashbun with smoked applewood bacon, lettuce and mayo. I then chose the classic fries for my side then their freestyle drinks which is unlimited refills from their drinks machine. Katie went for crispy chicken smash stack with their SMASH sweet potato fries and a freestyle drink as well. The food didn't take long to come at all, maybe around 5 minutes which was certainly impressive. 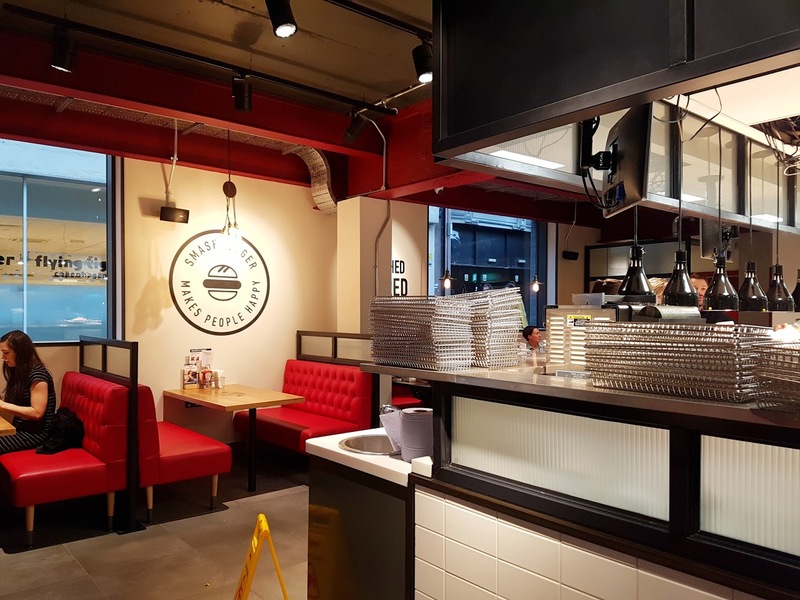 Tucking into the food was the best part, I can't express just how amazing the food was, my burger was the tastiest burger I have tasted in a long time, it was cooked perfectly and the meat was just.... YES! I really can't believe how amazing it was for the amount of time it took, I'm just very impressed. I really like the layout of the restaurant, it's big, plenty of seating which is good as there is the downstairs area and an upstairs area. There is also the option to have take away food which I was impressed with because it means you can have something on the go if you want plus the cooking time isn't bad so you won't be waiting around for ages for food. Now onto the toilets.... If you have read any of my previous reviews of restaurants you will know that clean toilets are important to me, if the toilets aren't clean, the kitchen most likely wont be clean. 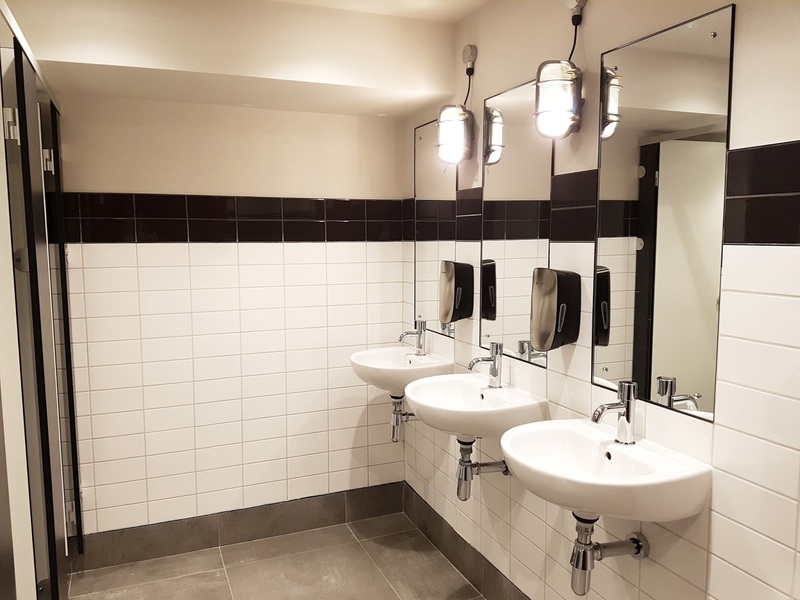 The toilets in Smashburger were very clean, I know they haven't opened yet but I like that they are bright and airy, very clean looking and a good size. They also have a disabled toilet downstairs, always a good thing! My only complaint from the day would be that when Katie and I were getting served I thought we had to order together so when Katie went to another woman I kept trying to get her attention and when I eventually did I said about us ordering together because of getting the table number thing and the woman who was serving Katie kept rolling her eyes at me which made my anxiety rocket a little, she just seemed really angry at me but I didn't know what to do. All I can say is that I hope it's because it was their preview day and that she was stressed. That's only negative on the whole experience though, everyone else was really nice, the staff were attentive and I enjoyed the food. I will be back because I want to experience what it would be like just going in for a meal with my son. 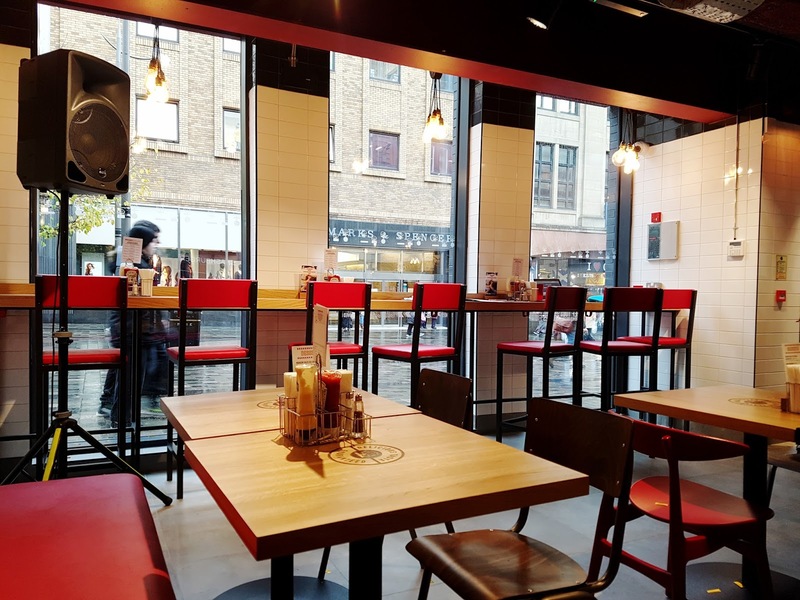 All in all it was a success and I can see Smashburger going far! 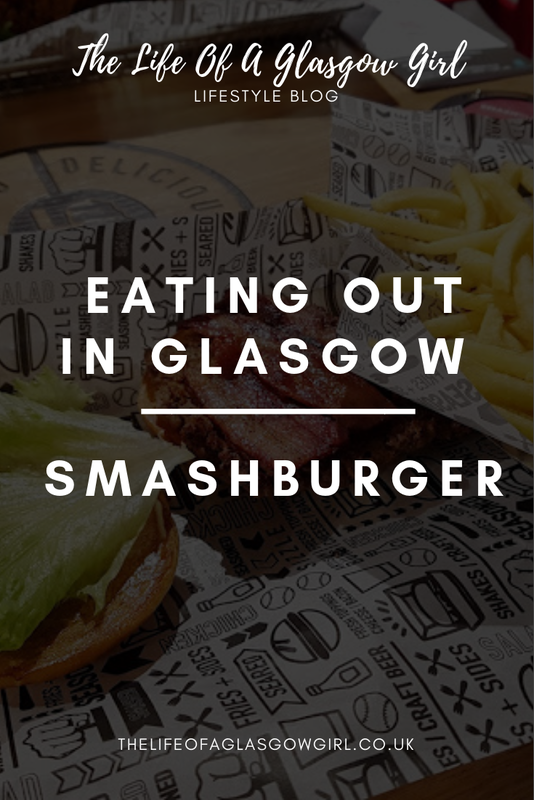 I would really recommend trying it out if you're ever up that way and fancy a tasty burger. I must admit that I'd never heard of this place before seeing it featured on the Bloggers Tribe Instagram story, and boy did that leave me feeling hungry! I love the idea of building your own burger, as a vegetarian I often find that the accompaniments to a veggie burger in restaurants are often quite uninspired, so being able to select your own is wonderful! Such a shame about the service whilst ordering not being the best, you would've thought they'd be out to impress on their preview day! I've never tried SmashBurger, i've never actually heard of it before now, but it sounds like my type of place! I adore burgers and being able to chose what you want is definitely amazing!